Ever wanted to cause destruction and mayhem in a peaceful, colorful world? Unleash your inner rage and flip some tables! 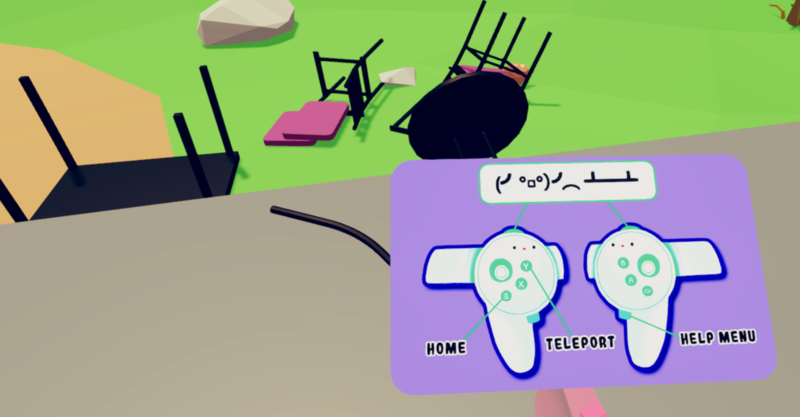 You won't be able to pick up any objects the way you normally would in VR, instead all you can do is flail, flip, flap, and flable around. The local population, the Flables, live in bliss, oblivious to the wreckage they are about to succumb to. But don't worry, they don't feel pain. This game is only for the Oculus Rift. Requires 2 hand controllers. This game is still WIP. Check out the update schedule for future releases! An additional level: flip tables on a giant pizza! Tables scatter ingredients all over a cheesy, gooey pie.